America has A LOT of garbage. It’s estimated that the average American produces 4.4 pounds of trash per day. While this might not be the best news for the future of the planet, it is certainly good news for people who work at the landfills where all of that refuse is taken. It’s not very likely that people spend too much time thinking about landfills on a daily basis, much less about the people who work in them every day. That is, of course, unless you’re one of the people who work in one. That’s a shame because for some, like heavy equipment operators, landfills and the jobs they provide present an opportunity for those in the field. In the content that follows, we’ll discuss some basic information about landfills, machines that are used and why working at a landfill can be a good choice for a heavy equipment operator. There are some stark differences between landfills and construction sites, the most noticeable one being that landfills operations are but a collection of an area’s garbage and not the future site of some new restaurant, strip mall or full-fledged mall. Both rely on the use of heavy equipment such as bulldozers and loaders to move materials about the work environment. It’s worth noting that when most people think of heavy equipment operation, they tend to think of working at construction sites or as part of a road crew and not in a landfill. That’s not to downplay the importance of the work done at landfills, as the management of trash can have catastrophic implications on the environment if done incorrectly. Landfill compactors are machines that are primarily used in landfills. The law of conservation of mass states that matter can neither be created nor destroyed. If our trash can’t be eliminated completely, the next best thing we can do is to make sure it takes up as small amount of space as possible. It just so happens that that’s what a trash compactor does best. A compactor resembles other heavy equipment machines, such as wheel dozers, as it features a flat edge on the front with a blade used to push garbage to and fro. So, just how does a landfill compactor compact trash exactly? The main goal of a landfill compactor is to create the densest volume of trash compounded in a unit called a cell. Cells are built on top of other cells, once the initial cell has been compacted. Compacters compact trash by rolling over massive piles of garbage, flattening them using the weight of the machine. What helps the landfill compactors work are their wide wheels, which feature spikes to help them traverse the mountainous piles. This is done over and over again until the garbage is sufficiently reduced to meet the specifications of the layout of the landfill. Landfills, unlike many construction jobs provide stationary work as opposed to travel, regular hours and are rarely affected by weather. Landfills historically have had trouble finding and keeping skilled operators working for them. If you’re interested in a career as a heavy equipment operator, don’t rule out the possibility of driving a compactor at a landfill. Before you do that, though, you need to start your education somewhere, and there’s no better place than HEC. In a search for an institution to help you bring your heavy equipment dreams to fruition, look no further than Heavy Equipment Colleges of America (HEC). HEC is one of the nation’s best heavy equipment schools. You can learn the ins and outs and complexities of heavy equipment operation, in addition to lattice boom and mobile crane operation, through programs offered at HEC’s seven campuses across the country. 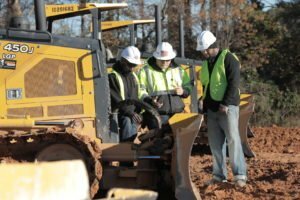 HEC has been training aspiring heavy equipment operators for over a decade, and its campuses are approved testing sites for the National Commission for the Certification of Crane Operators (NCCCO). Heavy Equipment Colleges of America prides itself on providing practical heavy equipment education tailored to its students’ individual needs. HEC’s programs implement a healthy balance of both textbook learning and hands-on experience to adequately prepare students for entry-level skilled trade jobs. HEC instructors have years of invaluable experience with heavy equipment and cranes, which will allow you to learn from some of the best ever to operate heavy machines. Heavy Equipment Colleges of America offers comprehensive heavy equipment operating courses that can be completed in as little as three weeks. This allows you to save time and money (compared to an associate’s or bachelor’s degree program) while also providing you with the knowledge and competence you need to start your new career. What are you waiting for? Find your passion in heavy equipment operation today. 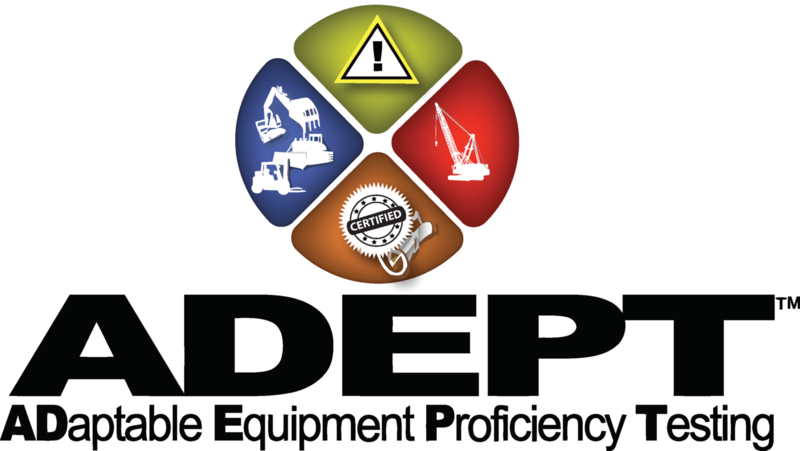 To learn more about the courses offered at Heavy Equipment Colleges of America, or to schedule a tour of the campus nearest you, please visit https://heavyequipmentcollege.com/.